Gorou Miyazaki has some good reasons to feel under pressure. 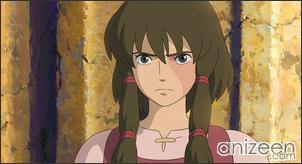 He’s director of Gedo Senki (Tales from Earthsea), the latest feature from Studio Ghibli, one of the world’s most important animation studios, despite being a complete novice: The movie, based on a best-selling book by Ursula K. Le Guin, marks his film production and directorial debuts. If that isn’t pressure enough, he also has the towering reputation of his father and Ghibli head, Hayao Miyazaki, hanging over him. 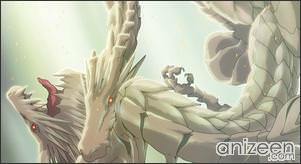 To make matters tougher still, Miyazaki senior initially voiced strong opposition to his son’s involvement in the project. So how has he been dealing with the pressure? In an interview with The Daily Yomiuri, Gorou was keen to give the impression that he has been taking everything in his stride. His strategy, he explains, was not even to consider the pressure but to focus instead on the task in hand and on what kind of movie he wanted to create. “I wanted to make the kind of thing Hayao Miyazaki and Isao Takahata were making when I was a teenager,” Gorou says, preferring to call his father by his full name rather than refer to their familial tie. “When I asked myself why I wanted to make a movie, the answer was in Hayao Miyazaki’s films…In a sense, I was not interested in other kinds of animated features. For example, I didn’t want to make something like what Mamoru Oshii or Katsuhiro Otomo would make, even though their work is also anime.” No wonder, then, that Gedo Senki is strongly reminiscent of past Studio Ghibli films. 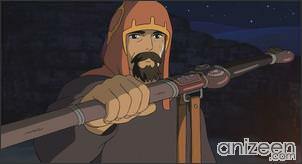 For example, in the new movie, the main character, Ged, is a wizard who wanders from one ghost town to another trying to discover why the world is losing its balance and why people are losing their enthusiasm for life–a character not unlike the wise man in Kaze no Tani no Naushika (Nausicaa the Valley of the Wind). 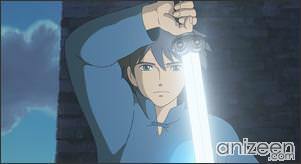 Another example is the black liquid that almost swallows the other main character, Arren, which is similar to the motif used in Mononoke Hime (Princess Mononoke). 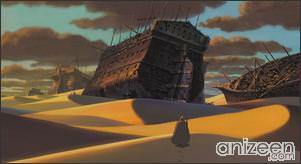 Also, the landscape of a port town seen in Gedo Senki resembles one seen in Majo no Takkyubin (Kiki’s Delivery Service). 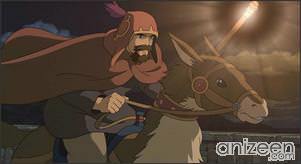 Gorou acknowledges that the movie as a whole has been influenced by his father’s work. And he believes this to be only natural. 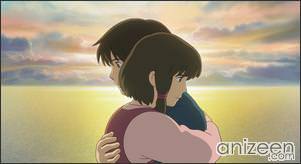 “I have no problem with the design and look of the film resembling the work of Hayao Miyazaki, and I wasn’t concerned about borrowing the outline from Shuna no Tabi.” Shuna no Tabi (Shuna’s Journey) is a picture book by Hayao inspired by Tales from Earthsea. 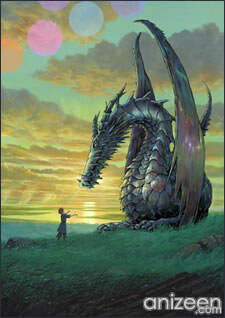 Gorou’s movie focuses on the third installment of the Earthsea series, with some elements borrowed from the first and fourth installments as well. The backstory is cut to a minimum in the movie and is pretty much told in a couple of lines, which begs the question: Is he going to make a prequel or a sequel? Gorou quickly dismisses such talk, saying that the making of one movie was challenging enough and that he has no plans to continue with a Gedo Senki series. 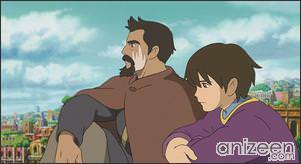 Gedo Senki: Tales from Earthsea (ゲド戦記) is a feature anime film from Studio Ghibli, released in Japan on July 29, 2006. 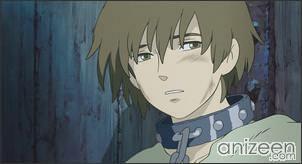 It was the first film directed by Gorou Miyazaki, son of Hayao Miyazaki. 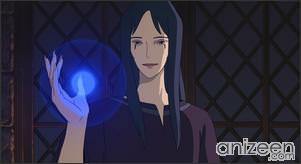 The movie is loosely based on a combination of plots and characters from the first, third, and fourth books of the Earthsea series, A Wizard of Earthsea, The Farthest Shore, and Tehanu, by Ursula K. Le Guin. 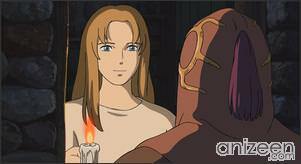 A manga adaption of the film has been published in Japan. Wasn’t this also a live-action movie on the Sci-Fi Channel or something? Anyway, it sounds interesting. ^_^ I wonder why his father doesn’t want him working on it, though…? I wonder why his father doesn’t want him working on it, though…? Because the failure of his son will be reflected on him too, and people will accuse him of not raising his son to be a worthy successor. I was already able to watch it and I could say it’s not really that bad. 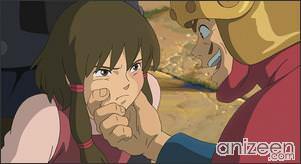 Oh and I’m quite bothered with the beginning of the movie (when the main character killed his own father)—don’t you think it has anything to do with the Junior’s relationship with Hayao?